The State Historical Society has launched a demonstration website for the Missouri Encyclopedia, an online reference work planned for publication during the state’s bicentennial year in 2021. The Missouri Encyclopedia will offer concise, informative articles on all facets of the history of Missouri and Missourians. It is intended for general audiences. The demonstration site will also serve as a developmental site, providing opportunities for the Encyclopedia’s staff to experiment with content and design, as well as to receive feedback from the public. The site is expected to undergo numerous changes as it grows and moves closer to the official launch in 2021. The Missouri Encyclopedia website currently includes a small but growing pool of sample articles as well as a suggestion box encouraging visitors to offer ideas for improving the site and adding further topics. Article proposals will be reviewed by the Encyclopedia’s staff, and approved topics will be assigned to writers. Anyone may write for the Encyclopedia, although article submissions will be subject to review prior to acceptance for publication. Two projects commemorating Missouri’s bicentennial in 2021 need your help. The My Missouri 2021 Photograph Project and the Missouri Bicentennial Quilt are both seeking submissions from Missourians in every single county to ensure the final results will be truly representative of the Show-Me State. Accepted submissions will become a permanent part of Missouri’s historical record after touring the state in traveling exhibits during 2020 and 2021. The My Missouri 2021 Photograph Project invites professional and amateur photographers to capture and share images of unique and meaningful aspects of place in Missouri. Submissions are due November 1, 2019. Two hundred photographs will be selected for the traveling exhibition as well as a digital showcase on missouri2021.org. The images will also be added to the State Historical Society of Missouri’s permanent Bicentennial Collection. The Missouri Bicentennial Quilt, a collaborative project of the State Historical Society of Missouri and the Missouri Star Quilt Company, also invites submissions, which are due before September 2, 2019. Individual quilters and quilting organizations are encouraged to submit blocks expressing unique characteristics of Missouri culture and style. Submissions should be 6.5-inch squares, as blocks will be finished at 6 x 6 inches. Entries should have no embellishments, contain no copyrighted images, and be made of 100 percent cotton fabric. A description of the block and its significance to Missouri must accompany each submission. Missouri 2021 is excited to announce that Missouri Prairie Foundation has joined the Bicentennial Alliance! 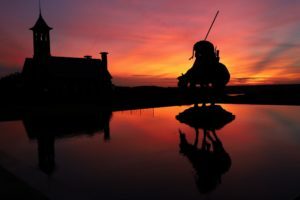 Missouri Prairie Foundation will be planning many events to connect citizens to Missouri’s prairie legacy, and these activities will take on enriched meaning in the context of the state’s auspicious upcoming anniversary. The Bicentennial Alliance is a coalition of statewide non-profit organizations and government agencies working together to develop and promote projects commemorating the Missouri Bicentennial throughout the Show-Me State. Visit missouri2021.org to see a wide variety of projects that are already underway by Alliance members. 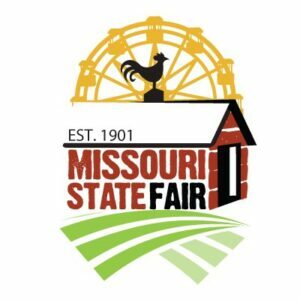 Missouri 2021 is excited to announce that the Missouri State Fair has joined the Bicentennial Alliance! Missouri 2021 is excited to announce two new members of the Bicentennial Alliance: Missouri State Library and University of Missouri Office of Extension and Engagement. Both bring unique and exciting perspectives to the bicentennial commemoration. The Bicentennial Alliance is a coalition of statewide non-profit organizations and government agencies working together to develop and promote statewide projects commemorating the Missouri Bicentennial. Learn more here. As you explore the Show-Me State this fall take your camera! Missouri 2021 is looking for photos of the state’s tremendous geographic and cultural diversity for the My Missouri 2021 Photograph Project. Professional and amateur photographers are invited to capture and share the unique and meaningful aspects of place in Missouri. From these submissions, two hundred photographs will be selected to be part of a traveling exhibition in 2021 and a digital showcase on this website. The images will also be added to the permanent Missouri Bicentennial collection at the State Historical Society of Missouri. Together these pictures will create a snapshot of the state’s physical and cultural landscape during its bicentennial that will be available to researchers, teachers and students, and the public for generations to come. A century later – in our fast paced digital age – what suggestions would you give to commemorate the Missouri Bicentennial in your local community? Please share feedback on Missouri 2021’s Facebook page. You can also read the entire handbook of suggestions online. Missouri 2021 is excited to announce two new members of the Bicentennial Alliance: Missouri Arts Council and Missouri Folk Arts Program. Both bring unique and exciting perspectives to the bicentennial commemoration. The Bicentennial Alliance is a coalition of statewide non-profit organizations and government agencies working together to develop and promote statewide projects commemorating the Missouri Bicentennial. 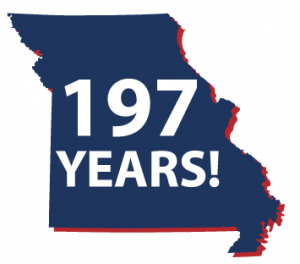 Today, August 10, 2018, marks Missouri’s 197th anniversary of statehood and places us one year closer to the Missouri Bicentennial in 2021. Under the Missouri 2021 banner, the State Historical Society of Missouri is coordinating a statewide c commemoration that incorporates both rural and urban communities in projects, programs, and events. ps in 80 counties and the City of St. Louis to talk about planned and proposed Bicentennial-related activities. Two new partners have joined the Bicentennial Alliance: the Missouri Folk Arts Program and the Missouri Arts Council. Missouri 2021 has also launched two new programs exploring Missouri’s history and culture at the occasion of its bicentennial in 2021—the My Missouri 2021 Photograph Project and the Missouri 2021 Endorsement Program. And today, on the state’s 197th anniversary of statehood, Missouri 2021 is unveiling a completely redesigned and updated website. The new site includes information about all of the ways you can get involved with planning and commemorating Missouri’s 200th year as a state. Missouri 2021 continues to be active on Facebook, Instagram, and Twitter. If you are not already following us, we invite you to start now. We are using these platforms to share information about Missouri Bicentennial planning and activities. Missouri 2021 also welcomes queries or comments at contact@missouri2021.org. Thank you for your interest in the Missouri Bicentennial! Upcoming Events: Join in the Commemoration of the Show-Me State! SHSMO’s bicentennial coordinator Michael Sweeney presents at the Friends of Arrow Rock Annual Meeting. Join the State Historical Society of Missouri at two upcoming bicentennial programs! On June 6 SHSMO’s bicentennial coordinator Michael Sweeney will share what plans are in place for Missouri’s 200th birthday on August 10, 2021, and how you can join in the commemoration. This program will be held at 7 p.m. in the Missouri State Museum’s History Hall, located in the east wing of the Missouri State Capitol, 201 West Capitol Avenue. To access the Capitol after 5:30 p.m., enter through the garage on the east side of the building. You can also learn more about Missouri’s Bicentennial at 2 p.m. on June 12 in Washington, Missouri. “Your Missouri Story: Finding Your History and Helping Write It through the Bicentennial” will be hosted by the Washington Historical Society at 113 East 4th Street. 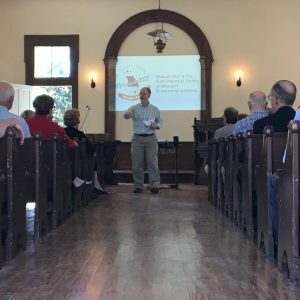 The session will cover Missouri 2021’s new projects and programs, and attendees will learn tips to help them discover their history within the State Historical Society of Missouri’s vast collection. Since 1898 SHSMO has been entrusted to collect, preserve, and share the state’s history, giving a voice to the people who helped build this country.